If you’re planning on having a structural survey carried out, here are some of our tips to help you get the lowest structural survey quote and save money into the bargain. Like with anything, it really is worthwhile taking some time to shop around and compare quotations from a number of different firms of surveyors. Many firms want your business, and you will be amazed at just how much variation there is. So, do take some time to compare structural survey quote rates and you can easily save a great deal of money in no time at all. Always Choose Your Own Surveyor. 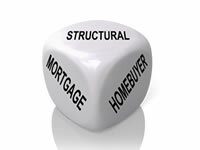 Most mortgage lenders try to recommend their own choice of structural surveyors. This is because the lender usually receives an “administration fee” (i.e. commission) from the firm of surveyors for introducing business to them, and the surveyor just adds the lender’s commission on top of their normal structural survey quote. To avoid this, always instruct your own firm of structural surveyors directly. 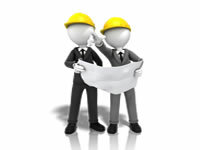 Make Sure The Surveyor Is Suitably Qualified. Structural surveys should only be carried out by qualified Chartered Structural Engineers or Chartered Surveyors (i.e. members of the Royal Institute of Chartered Surveyors, also known as RICS) Don’t get a structural survey quote from a firm which doesn’t hold one of these qualifications. 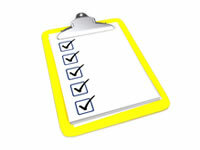 Confirm Your Surveyor Is Acceptable To Your Lender. Once you’ve short-listed some firms of surveyors, it’s worth calling your mortgage lender to make sure that these firms are acceptable to the lender. As long as your surveyor is a Chartered Surveyor or Chartered Structural Engineer, you shouldn’t have any problems. But its always a good idea to double check with your mortgage lender after you’ve settled on a structural survey quote to make sure that they will accept your surveyor’s valuation. Biggest Isn’t Necessarily The Best. Larger firms of building surveyors can initially seem impressive, but they are often considerably more expensive than smaller firms. Try to get quotations from a selection of larger and smaller firms, as you may be surprised at the structural survey quote differences in price. 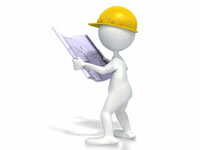 Find A Suitably Experienced Surveyor. If you are buying a property which is of non-standard construction (e.g. 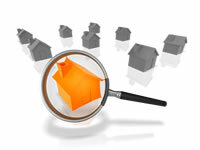 a period or thatched property), try to find a surveyor who has experience with that specific type of property. An experienced surveyor is more likely to spot defects in the type of property you intend buying, and can also give you a more accurate idea of the cost of any repairs needed. Always Get All Quotations In Writing. 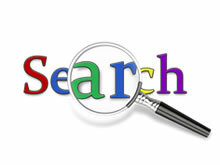 All firms of surveyors will give you a free written structural survey quote if you ask for it. 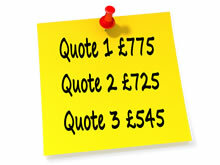 This quotation sets out exactly what work they will do, and also specifies a fixed price for this work. To avoid any misunderstandings later, you shouldn’t instruct a survey until you have this written structural survey quote. To make sure you get a low structural survey quote, it’s a good idea to get a few online quotations from firms of surveyors first. This only takes a couple of minutes, and you’ll usually make the biggest savings when you search online, because most firms of surveyors quote cheaper internet prices. Once you have some online quotes, the next step is to call some local firms of surveyors in your area to see if they can offer you a better structural survey quote. In most cases, you’ll probably find that your online quotations are considerably cheaper than the rates quoted by local firms. However, some local firms may offer a cut-price structural survey quote to get your business, so it’s definitely worth shopping around!